Rolex Oyster Perpetual 116000. 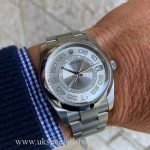 36mm stainless steel case with a smooth steel bezel, Silver dial with applied 3, 6 and 9 Arabic Numerals. 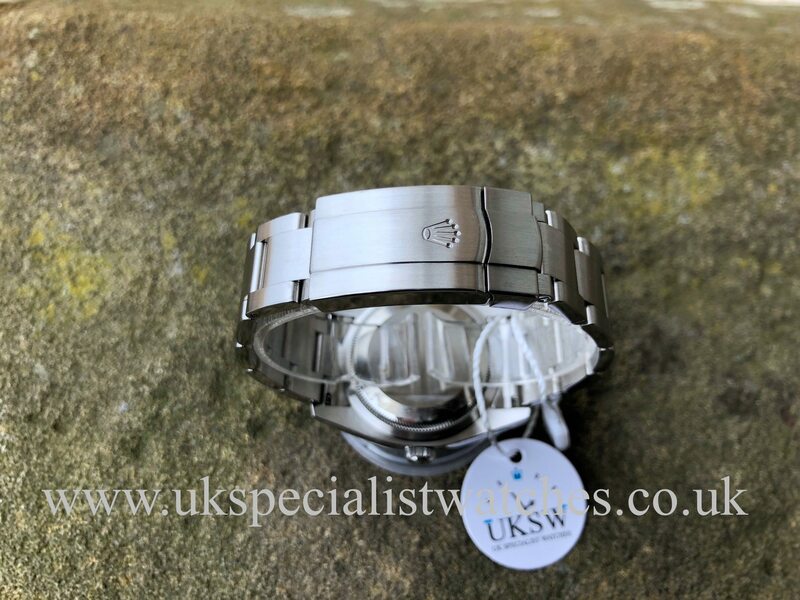 Fitted to the latest style stainless steel oyster bracelet also with the new double folding clasp. 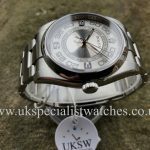 The 36mm is now popular amongst both men and women. 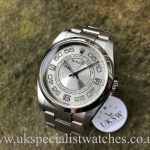 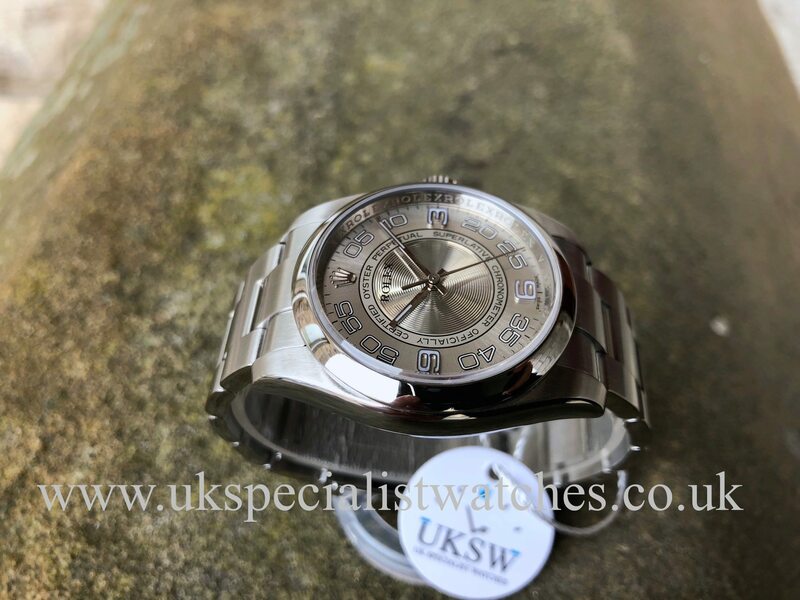 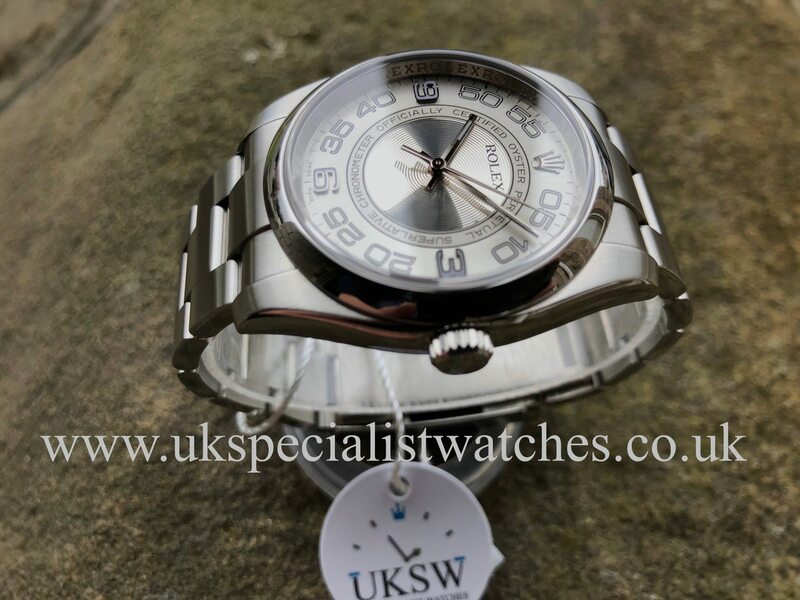 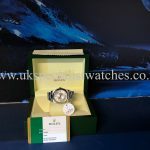 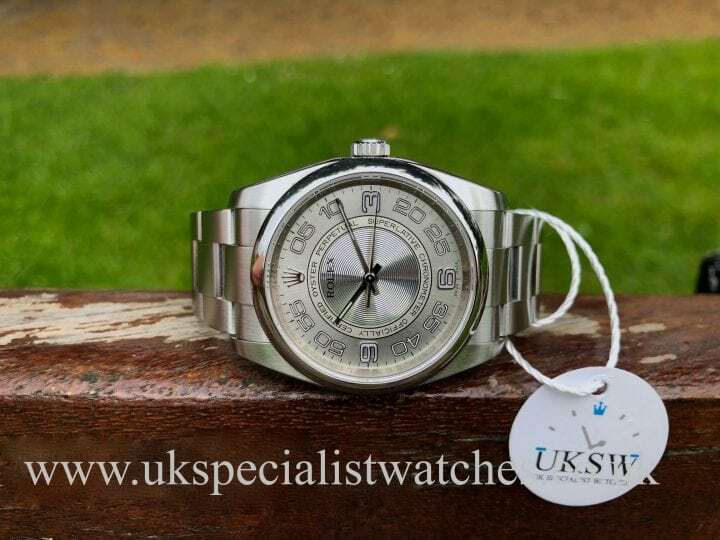 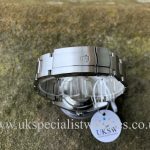 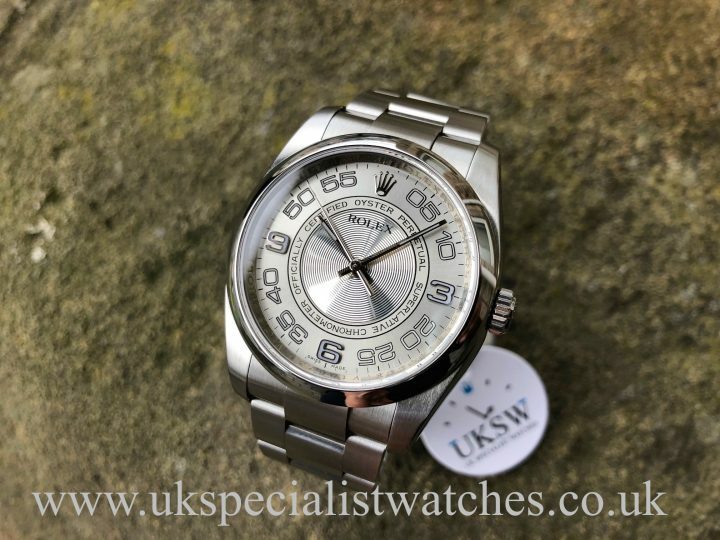 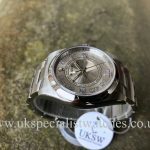 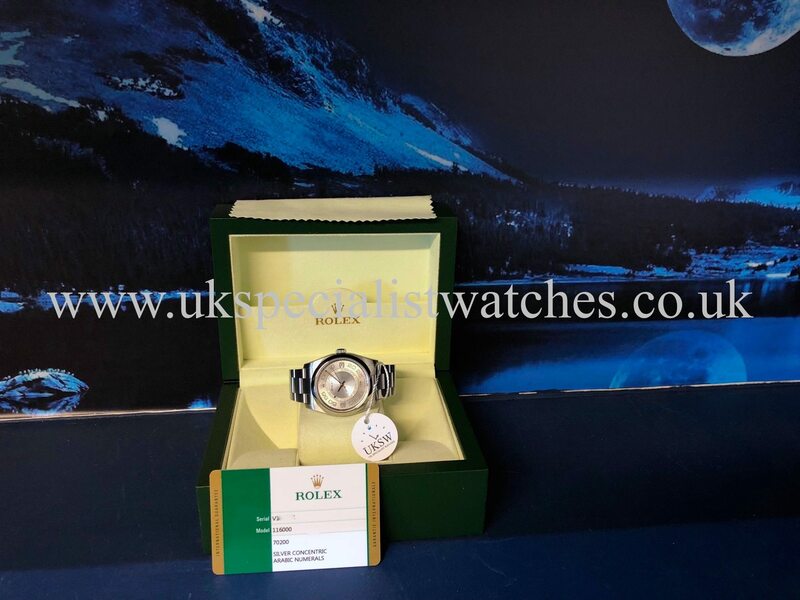 This watch is a fantastic entry level Rolex piece and represents fantastic value for money especially being UK Supplied and comes totally complete with original Rolex boxes and stamped warranty card. 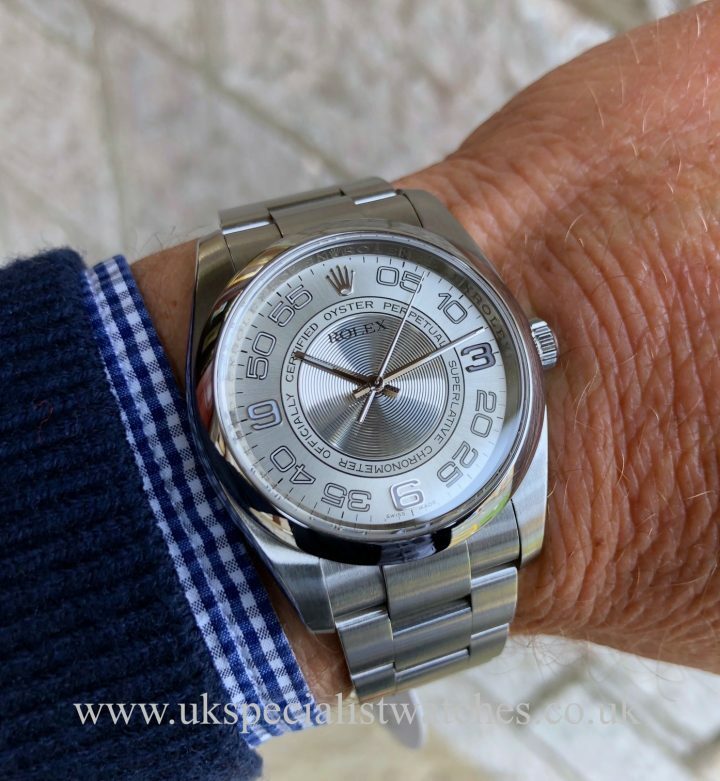 Supplied new in 2015.